What Should You Do If You Think Someone Has Broken Their Neck? Most of these injuries occur as a result of a traumatic incident, like a car accident, fall or sport injury. Unfortunately, neck injuries can be somewhat difficult to spot because they’re not always apparent at the time of the injury. 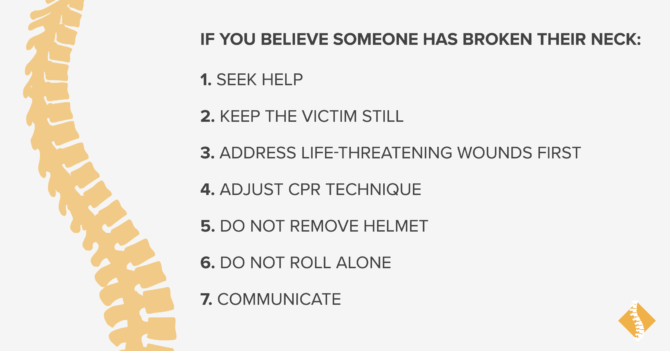 Worse, however, is that many people don’t know what to do when they’re put in the situation of needing to help a person who has potentially broken their neck or back. That’s why we’ve put together this guide which helps outline what you should do if you think someone has broken their neck, the common warning signs of a spinal injury and why they’re so serious. First, it’s important for us to note that if you think that you or another person may have sustained a spinal injury, your first action should be to dial 9-1-1. There are steps that a non-medical professional can take to ensure there is no further injury to the sensitive nerves within the spinal column, but it is not a substitute for actual treatment. This list is also not comprehensive. There are many different ways a person can cause damage to their spine and many different ways that it can manifest itself. This being the case, you should never just “risk it” if you or someone else has sustained a traumatic injury to the head or back. It’s better to be safe and have the injury turn out to be nothing than the other way around. That said, let’s start by pointing out some of the common “red flags” that typically appear when there has been injury to the spine. The effects of a spinal cord injury can vary significantly depending on the location and severity of the damage. Typically, however, it often results in at least partial loss of function to certain areas of the body below the site of the injury. Respiratory: Respiratory complications are often a strong indication of the amount of spinal damage that has occurred in an injury. If the victim is having trouble breathing, or cannot breathe on their own, it can mean they have severely damaged their spinal cord. Back/Neck: Extreme pain or pressure in your head, neck or back. Muscular: Inability to move certain muscles, muscle weakness, problems with coordination or balance, unusual or prolonged muscle stiffness, muscle spasms or overactive muscles. Sensory: Reduced or no sensation in certain areas of the body or prolonged tingling, especially in the fingers, feet or toes. Urinary/Bowel: Loss of bowel or urinary control. It’s important to note that not all of these symptoms may manifest themselves immediately or prominently after an injury to the spinal cord. It’s a common misconception that spinal injuries are acutely obvious when they occur. On the contrary, while it’s definitely easy to know when a spine trauma is serious, it can be difficult to spot if the victim is conscious, able to move and feels fine after the injury. According to Deputy Chief Jason Jenkins of the Fairfax County Fire and Rescue Department, "the use of drugs and/or alcohol can impair an individual's ability to sense pain and may not be a reliable indicator of injury." Deputy Chief Jenkins recommends that if there is any question that a person has injured their neck, a good rule of thumb is to take every precaution possible when someone has experienced a traumatic injury to the head, back or pelvis. Additionally, if you see any penetrating injuries in the area of the spine, or the victim has fallen from a significant height, you should always assume a spinal injury, even if they feel alright in the moment. It’s better to assume there is spinal damage and get it cleared by a medical professional than assume everything is fine only to find out that serious trauma has occurred. What Should You Do if You Suspect Someone has a Spinal Injury? 1) Seek help. Call 911 or seek emergency medical help before touching the patient. When communicating with the 911 operator, tell them you suspect the person has a spinal injury. This will allow the dispatcher to send the appropriate personnel to the scene. 2) Keep the victim still and calm. Any movement can cause further damage to the spine or sensitive nerves, so keep the person as still as possible. If available, place heavy towels or clothes on both sides of the head and neck to prevent any movement. If not, lay your hands flat on either side of the person’s head and manually hold it steady. 3) Address life-threatening wounds first. Spinal injuries rarely occur without other, serious trauma to the body. Look for wounds in the abdomen, chest, neck and thigh area that could be life-threatening. While spinal injuries are very serious, fatalities most often occur from the wounds that result from an injury that also affected the spine, not the spinal injury itself. Place pressure on wounds and do what you can to control serious bleeding while you wait for medical personnel to arrive. Remember to keep the neck still and aligned at all times. 5) Do not remove helmet. If the person is wearing a helmet (bicycle, football, motorcycle, etc.) do not remove it. This movement could cause more damage to the spine. 6) Do not roll alone. Occasionally, victims can vomit, choke on their blood or otherwise put themselves in danger of further injury. If this is occurring, seek the help of a second person with one person at the head and another at the side. While rolling, work with the other person to ensure that the neck and body remain aligned throughout the process. 7) Communicate. If the person is conscious, be sure to continue communicating with them and encouraging them to remain as still as possible. Not being able to feel a certain area of your body or losing control of your systems can create a state of panic in many people. This can cause them to try to move in order to regain feeling and functionality which can severely worsen the injury. As you can, remain calm and in control of the situation. You can tell the victim that they have a potential spine injury and should remain as still as possible, but avoid discussing how bad you think the damage actually is. This can cause further panic, a desire to see how bad they look or denial that they’re actually injured which can lead to a more serious injury. If you cannot stay calm, step away from the victim and allow others to help. In all, your goal is to keep the person as still as possible while you wait for trained medical personnel to arrive, that can take about 8-14 minutes depending on where you’re located.5 Do what you must to keep the person breathing, to control bleeding and the neck aligned, but be careful straying outside of what you know, otherwise you could cause more damage than has already occurred. Why are Spinal Injuries so Serious? Spinal injuries are serious, even fatal because they can damage, impinge or sever the nerves that make up the spinal cord, thus impacting or cutting off the brain's communication with vital areas of the body. Additionally, unlike other parts of the body, the spinal cord does not have the ability to heal itself if damaged so, typically, injuries are permanent without treatment. The spinal cord is made up of soft tissue that extends downward from the base of the brain and through the bony vertebrae of your spine. Groups of nerves located within the spinal cord, called tracts, enter and exit the spine at the intersection between each of the 26 vertebrae and travel throughout the rest of the body. It’s helpful to imagine the spinal cord like the brain’s phone line to the rest of the body. This phone line allows it to communicate with virtually everything and command various functions including movement, breathing, circulation and more. If this “phone line” is cut or damaged, it can impact the body’s functionality significantly, even proving to be fatal if the nerves that direct breathing or circulation are severed. It’s also worth noting that fracturing the spine requires a significant amount of force. This being the case, it’s not uncommon for patients who have experienced a spinal injury to have other, serious trauma to the neck, chest or abdomen. While severing your spinal cord can certainly result in death, a large majority of the mortalities that occur as the result of a broken neck are actually associated to the injuries that occur in conjunction with it. Can a Broken Neck Cause Paralyzation? A broken neck can, in some instances, cause partial or full paralyzation though it depends on the place of the injury in the spinal cord and the severity of the damage. An injury that occurs to the spinal cord that runs near the chest or lower back can affect functionality in the torso, legs, bowels, bladder and other areas. Meanwhile, an injury that occurs in the neck can affect all the same areas with the arms and, potentially the ability to breathe, included. Typically, the higher in the neck the injury occurs the more serious the damage. 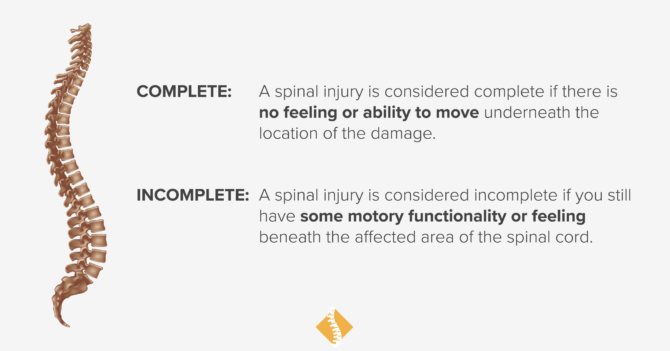 Complete: A spinal injury is considered complete if there is no feeling or ability to move underneath the location of the damage. Incomplete: Conversely, the injury is considered incomplete if you still have some motor functionality or feeling beneath the location of the affected area of the spinal cord. It’s important to note that not all spine injuries will result in paralyzation. Plenty of people have fractured their vertebrae, even causing some damage to their spinal column, and been able to recover. The results from the injury depend almost exclusively on the location and severity of the damage. When an injury occurs to the spinal column, it’s relatively common for inflammation and swelling to appear around the site of the damage. This swelling, by pressing on the nerve fibers, can cause changes in nearly every system of the body; including paralyzation and can take days, weeks or even months to recede. This being the case, there’s a chance that patients who experience incomplete paralysis can recover some function over time. However, as we’ve mentioned before, the spinal column cannot heal itself meaning that any damage that is caused is unlikely to be reversed apart from treatment. How is a Spine Injury Treated? Treatment of a spine injury varies depending on the severity and location of the trauma as well as any other damage that may have occurred to the body during the accident. In most instances, treatment starts long before the patient arrives at the hospital. Paramedics will often start by immobilizing the spine at the site of the accident. This often involves placing the patient on a what is known as a spine board, strapping them down and stabilizing their head between two cushions. They might also place the head into a neck brace. At this point, they will be taken by ambulance or helicopter to the nearest hospital with a trauma center. 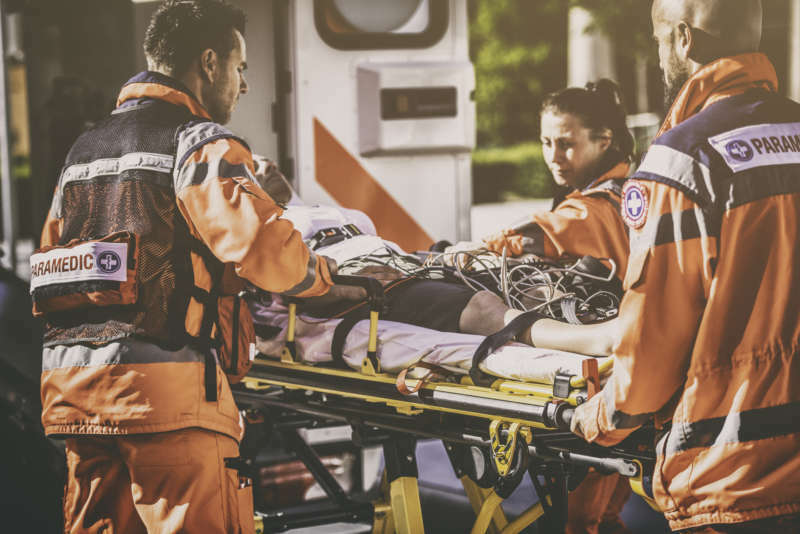 Once they have arrived at the emergency center, physicians will first identify and treat any life-threatening injuries that have occurred as a result of the accident. They will continue to keep the patient immobilized and secure as they address these issues. If surgery is required to treat any of the trauma caused during the accident, they’ll ensure that the patient remains immobilized during the entire operation. Additionally, physicians will also work to align the spine at the site of the injury to make sure that no more damage occurs to the spinal cord. At this point, if the patient is stabilized, a neurosurgeon will often place the patient into an imaging device, often a CAT-scanner, to identify exactly where the injury has occurred, the extent of the damage and start mapping out potential treatment options. Depending on the injury, a neurosurgeon may recommend taking the patient into the operating room immediately if they see that fragments from a spinal fracture, a herniated disc, swelling or blood clots are putting pressure on the spinal cord and could potentially cause further damage. 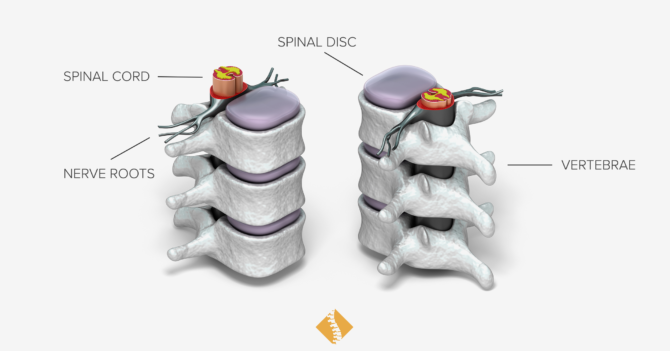 While it’s unlikely that the surgery will reverse any of the damage that occurred to the nerves in the spine, it can help stabilize the spine prevent further complications from the injury. Recovering from a spinal cord injury depends almost entirely on the extent of the damage that occurred to the nerves, since they cannot heal. Typically, however, rehabilitation can help restore some functionality and help the recovery process. After a person is released from the intensive care unit, they will often spend some time in the hospital simply recovering from their injuries and allowing neurosurgeons to identify which treatment and rehabilitation options are going to be most effective based on the damage that has occurred. Patients may need additional surgery in order to ensure that the spine is aligned properly, there is no swelling or bleeding occurring in the spinal column and the tissues around the nerves are recovering properly. After about three days in recovery, a neurosurgeon will often give the patient a complete examination of their spine, make an official diagnosis to determine the severity of the injury and predict the likely amount of recovery that should be expected. Most doctors use what is known as the ASIA (American Spinal Injury Association) Impairment Scale as their standard. Complete: No sensory or motor function is preserved in the area below the injury, including in in the sacral segments S4-5. Sensory Incomplete: Sensory but not motor function is preserved below the neurological level and includes the sacral segments S4-5. Motor Incomplete: Motor function is preserved below the neurological level, however, more than half of the muscles below this level have a muscle grade of less than 3. Meaning they are not strong enough to move against the force of gravity. Motor Incomplete: Motor function is preserved below the neurological level and at least half of the muscles below this level have a muscle grade of more than 3. Meaning they are able to move against the force of gravity. Normal: Movement and sensory functions are all normal. Patients who are classified as a level C-E, often stand to benefit from rehabilitation. Specific rehab programs will vary depending on the injury and the goal of the recovery. Patients should also expect to wear a brace from 8 to 12 weeks after they leave the hospital, even if they didn’t undergo surgery. This is simply to ensure that the bones in the spine heal and align properly. At this point, recovery becomes dependent on you. You’ll likely have a physical therapist and instruction from your neurosurgeon after you leave the hospital and the most important thing to do is follow them to the tee. Trying to take on sports or activities too quickly could result in re-injury or reverse the healing that has begun in your spine. Take your time, be patient and give your body enough time to recover. Additionally, be consistent and enthusiastic in your recovery. Depending on the severity of your injury, you’ll likely undergo 3-6 weeks of significant physical therapy. This is often hard and painful, but it works. With time, energy and effort, it is completely possible to regain functionality and return to most, if not all, of the physical activities you enjoyed before the injury. In conclusion, damage to your spine, specifically your spinal cord should be taken very seriously. As we’ve mentioned before, never take a chance after you or an individual you are with has experienced a traumatic accident. Typically, incidents that cause spinal injuries are severe enough that they have other, more obvious effects, but this isn’t always the case. Spinal cord injuries can sometimes take hours, days even weeks to fully manifest themselves. When in doubt, even if you feel fine, contact a neurosurgeon as soon as possible who can scan your spine and make sure that everything properly aligned and that there is no bleeding, bone fragments, disc herniations or inflammation that could potentially cause damage to your spinal cord.